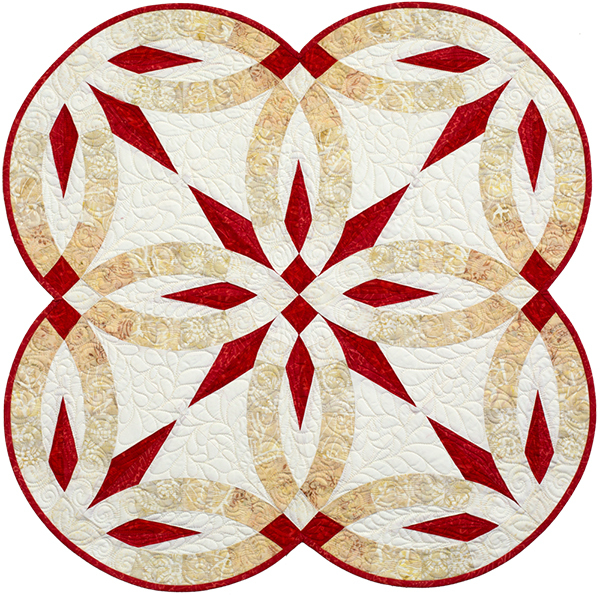 Stay tuned in the coming weeks as we bring you special exhibits and trunk shows by our Certified Shops in your area, running from June to the month of September! 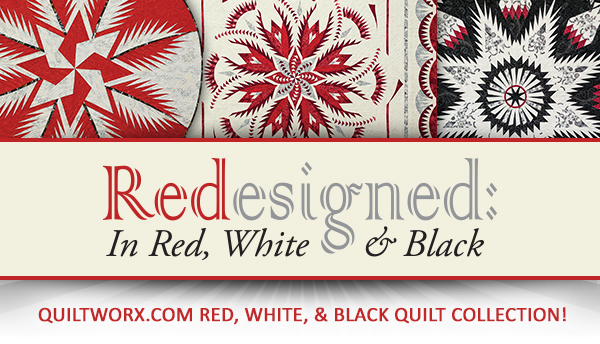 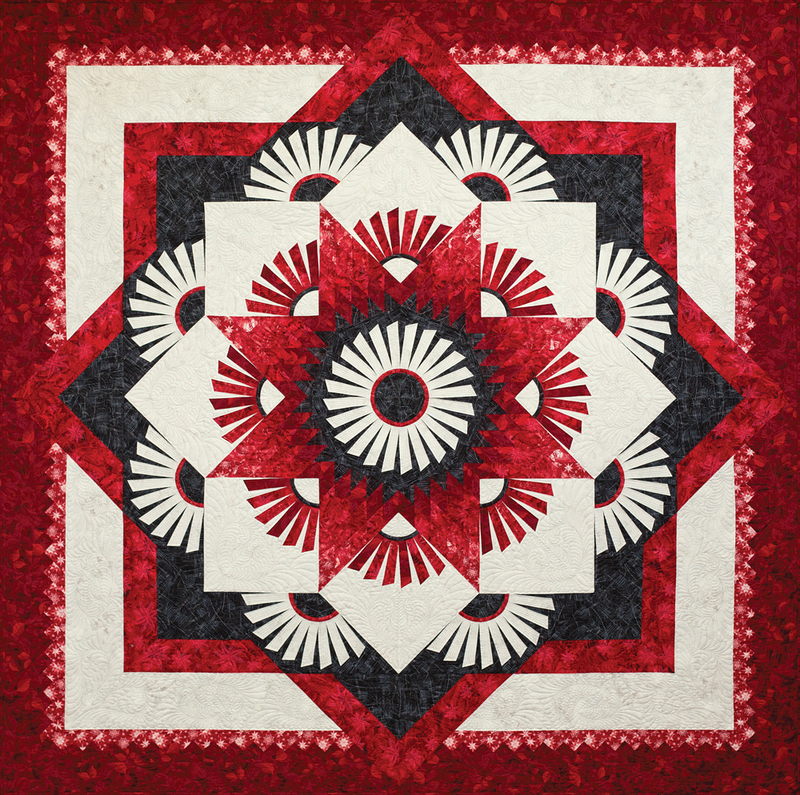 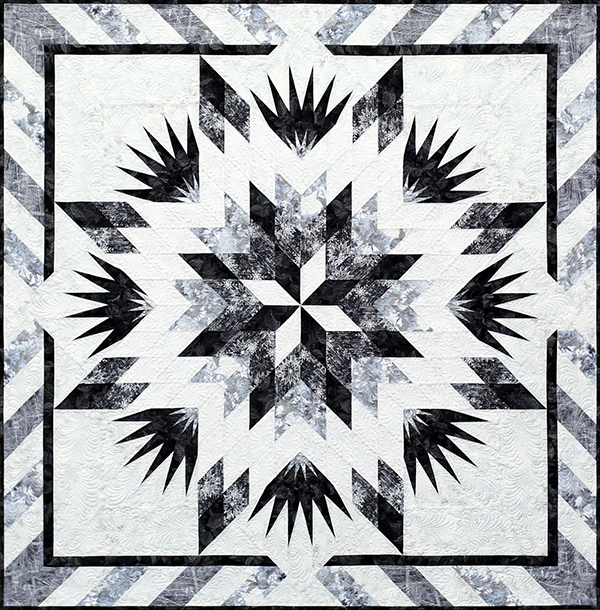 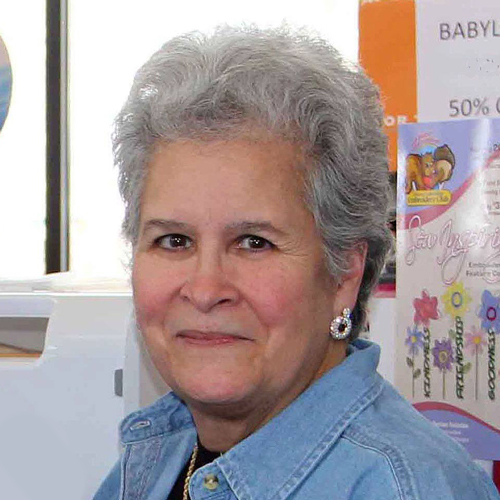 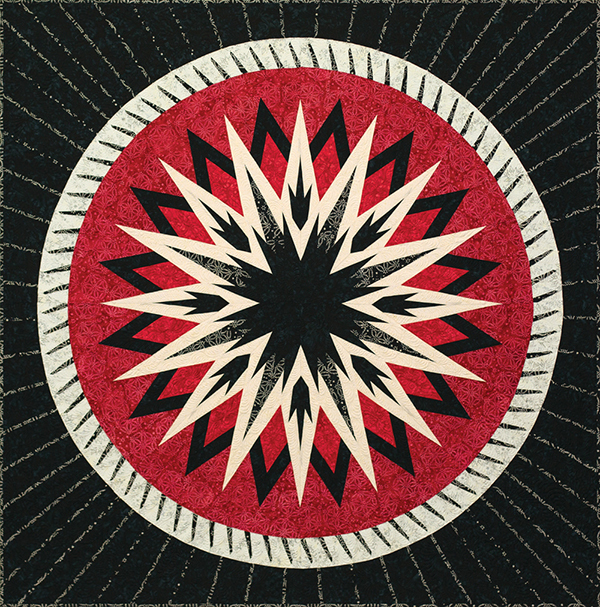 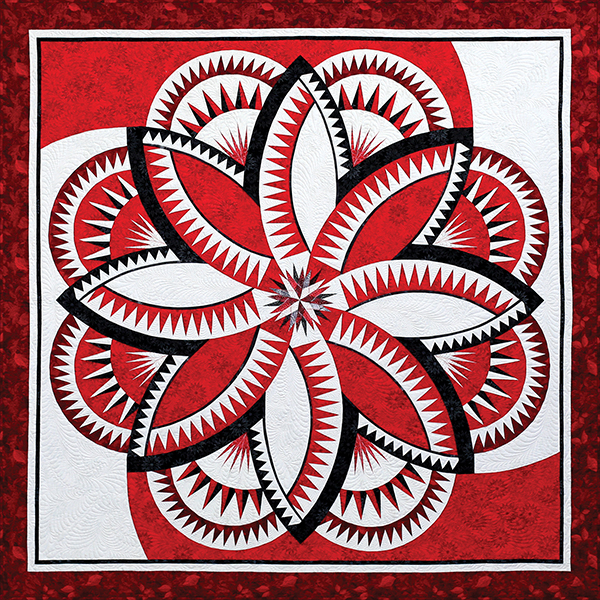 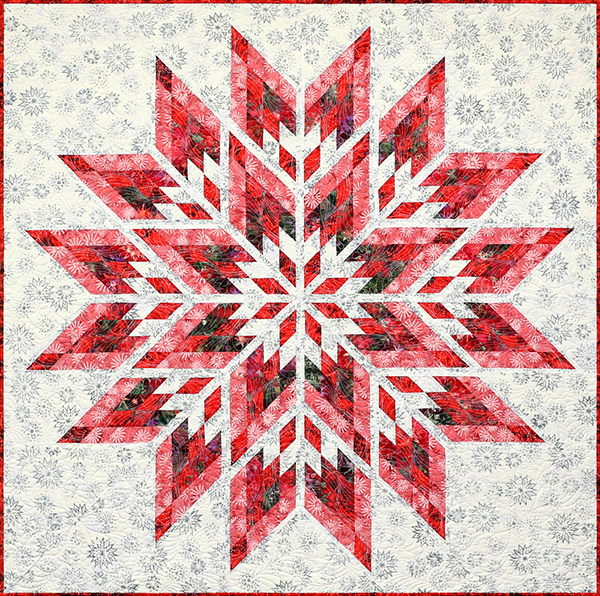 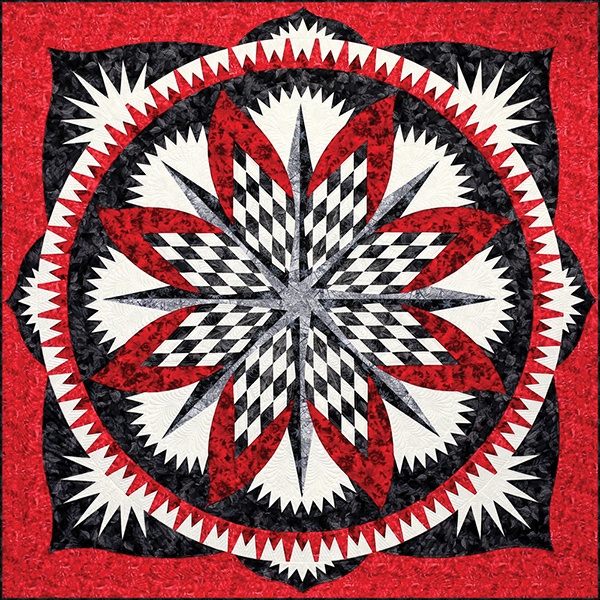 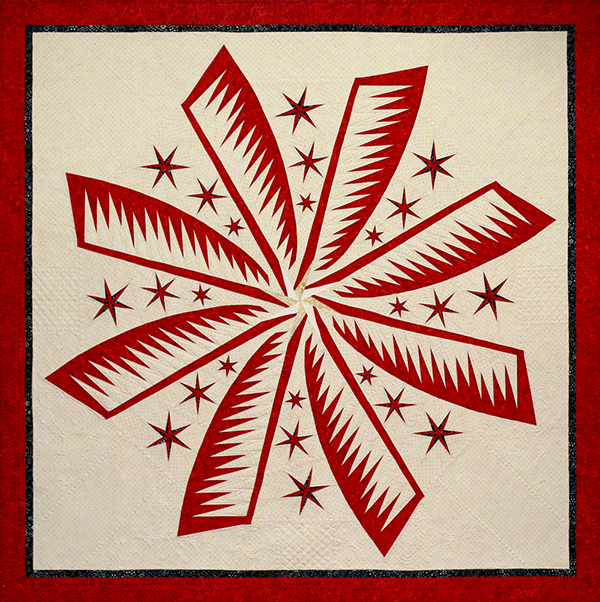 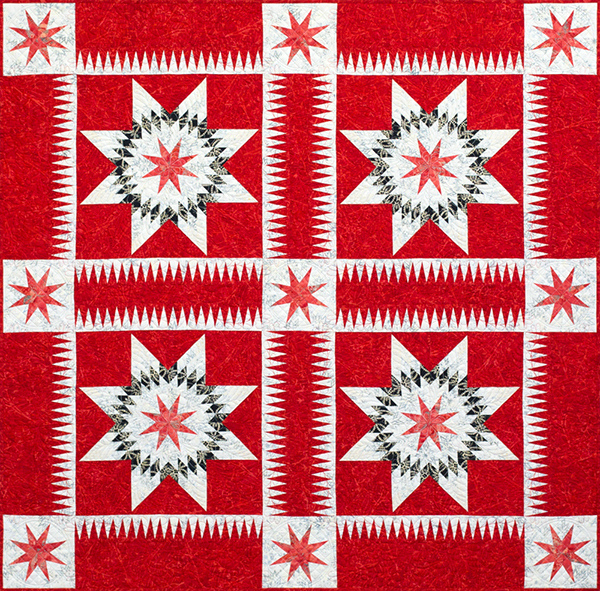 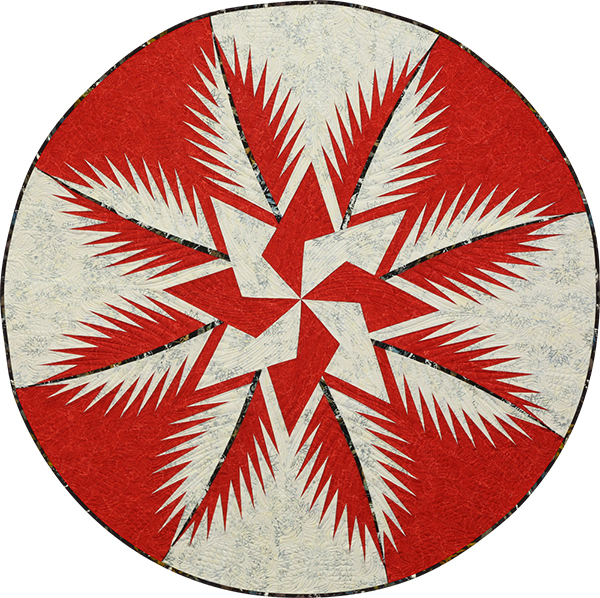 Visit these shops to see select quilts from the Forever and Rosè collections many of which are featured below by Quiltworx and our Certified Instructors! 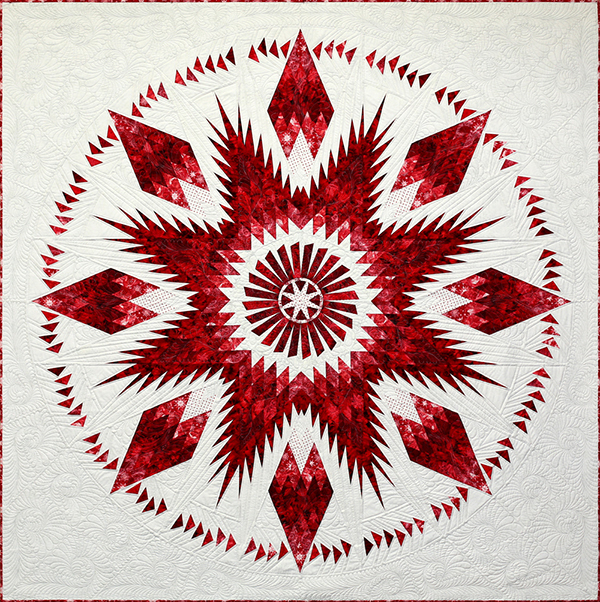 This striking collection would not have been possible without the skilled help of the many Certified Instructors who enthusiastic volunteered to make samples in addition to the ones we were able to make ourselves. 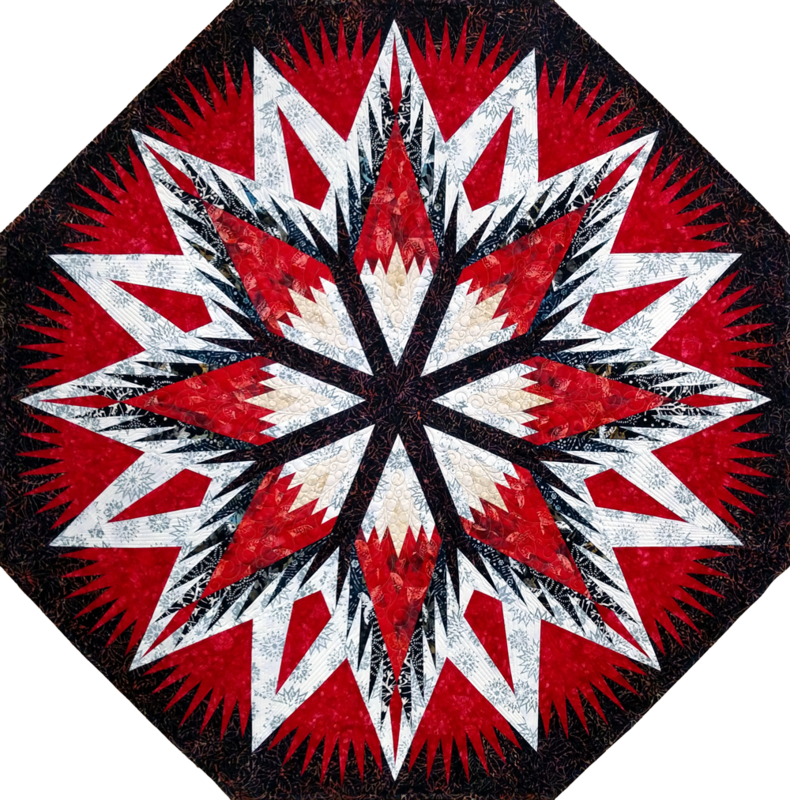 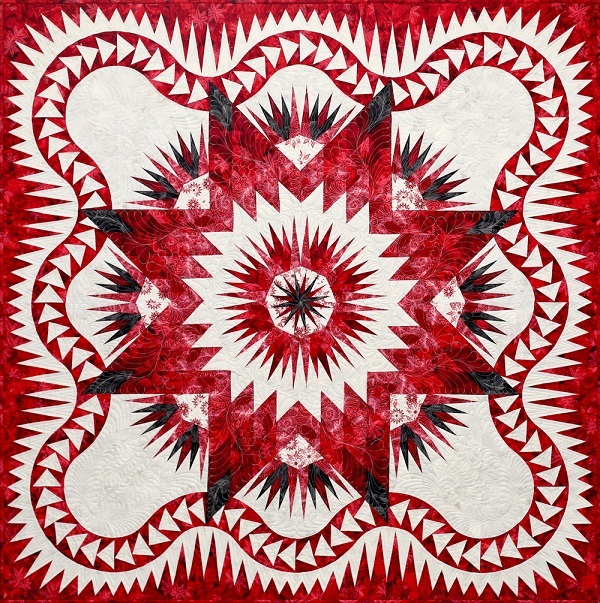 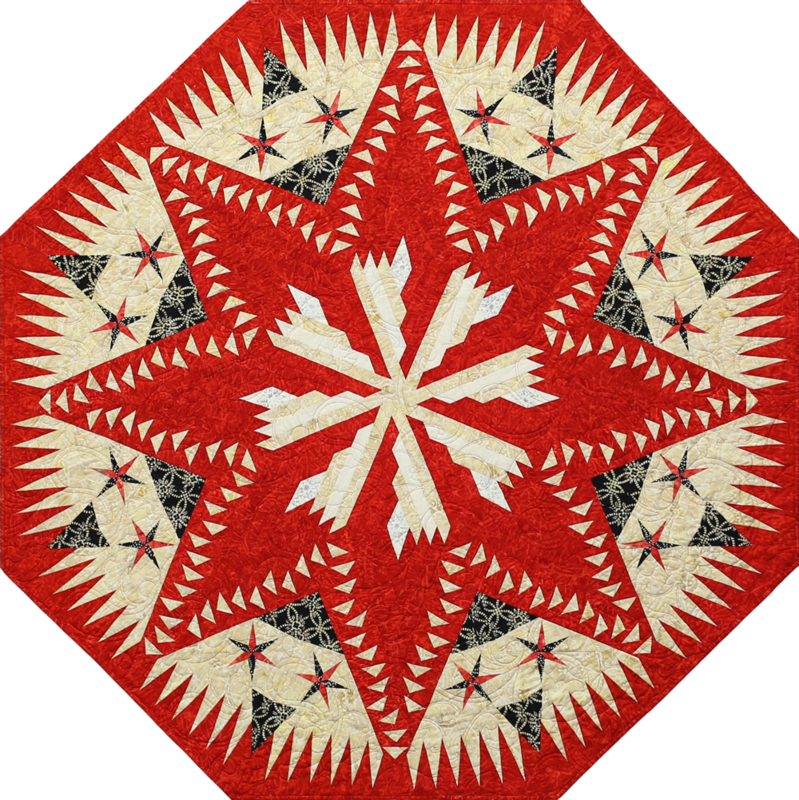 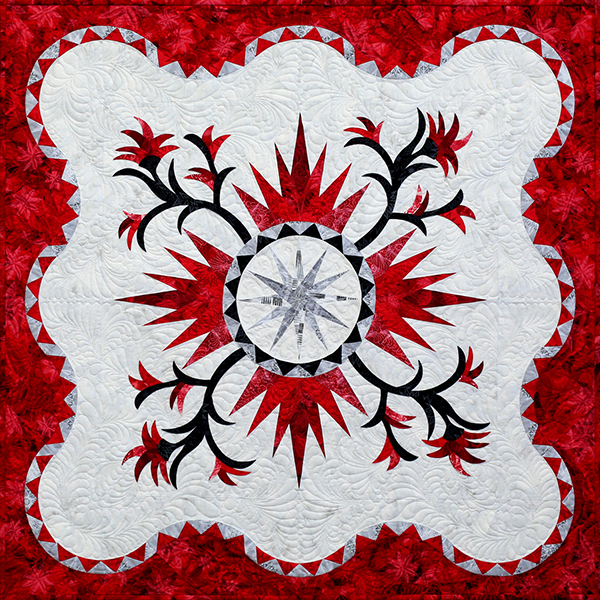 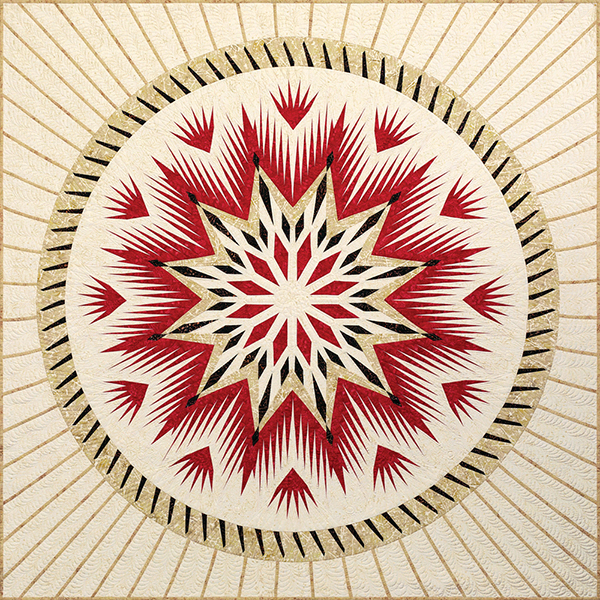 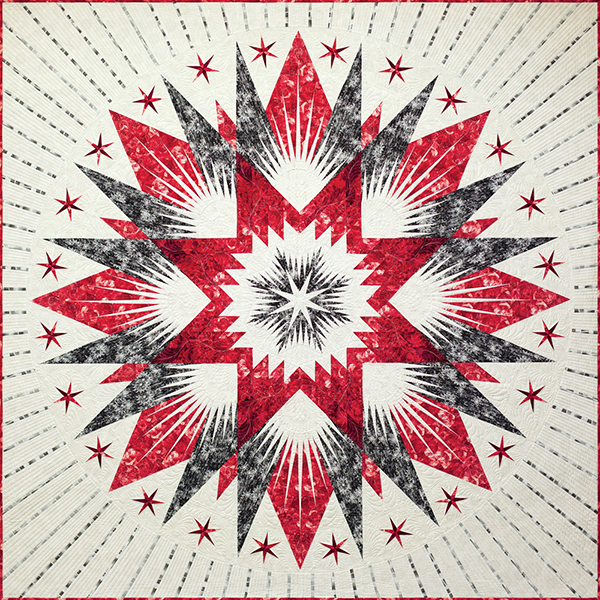 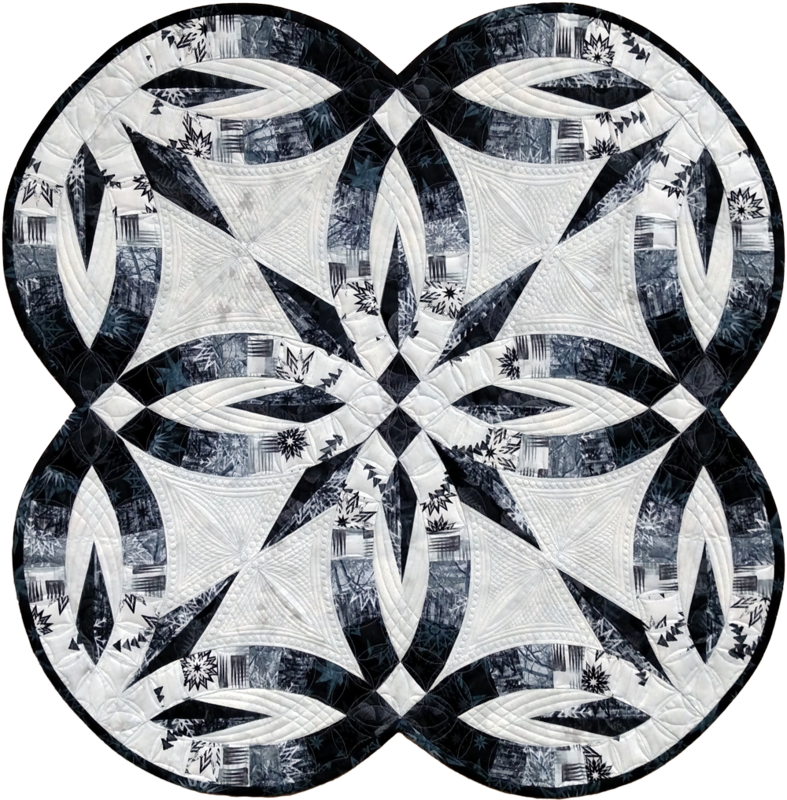 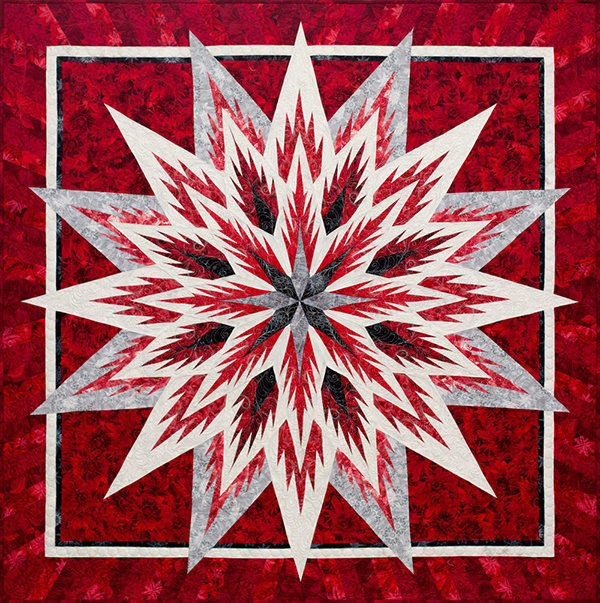 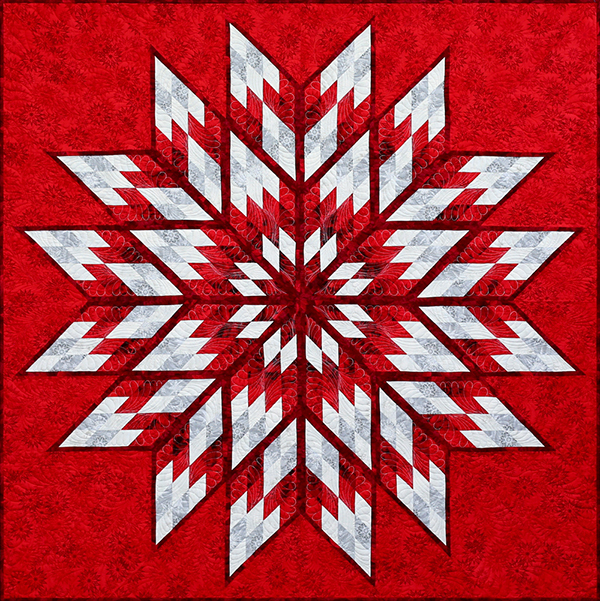 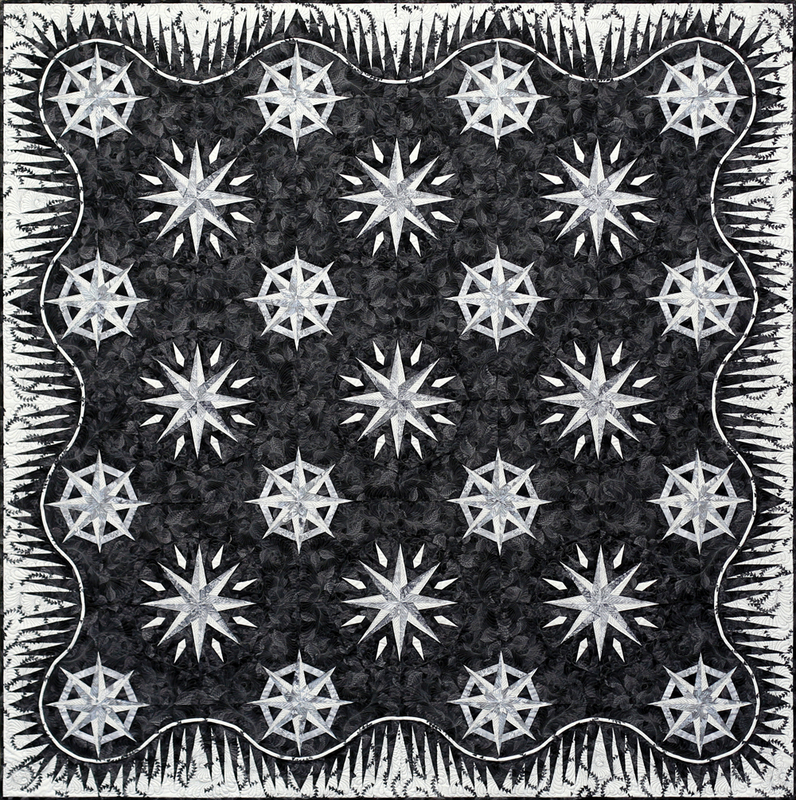 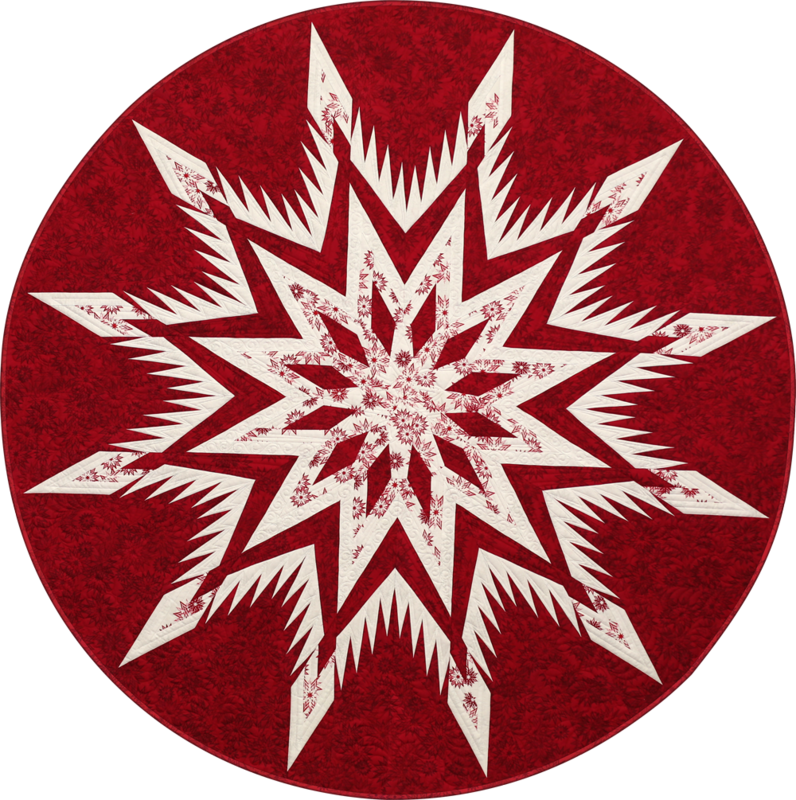 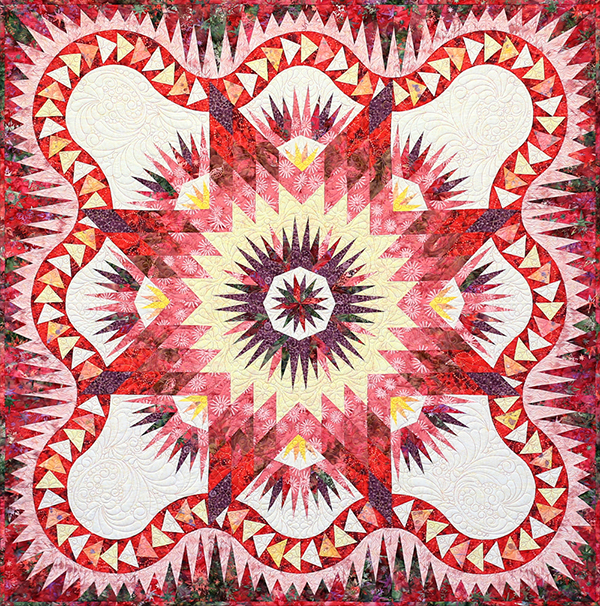 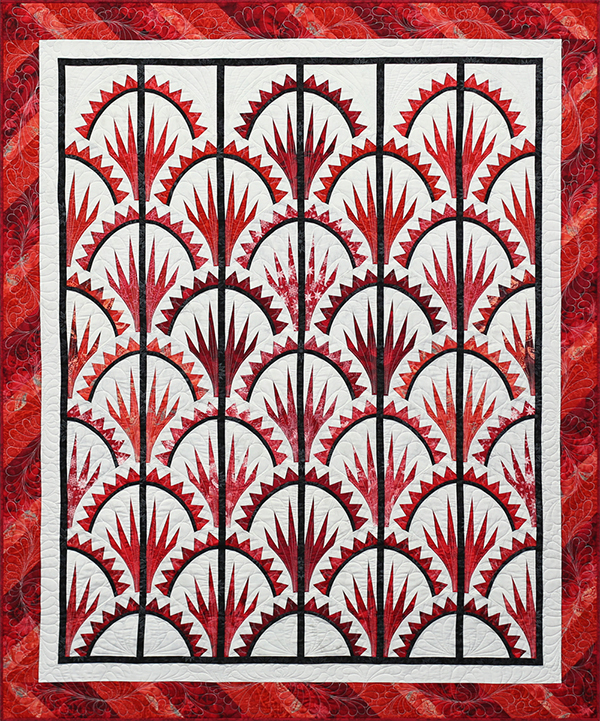 Their efforts resulted in some of the most jaw-droppingly gorgeous quilts we’ve ever seen, and we’re so proud to share them with you now! 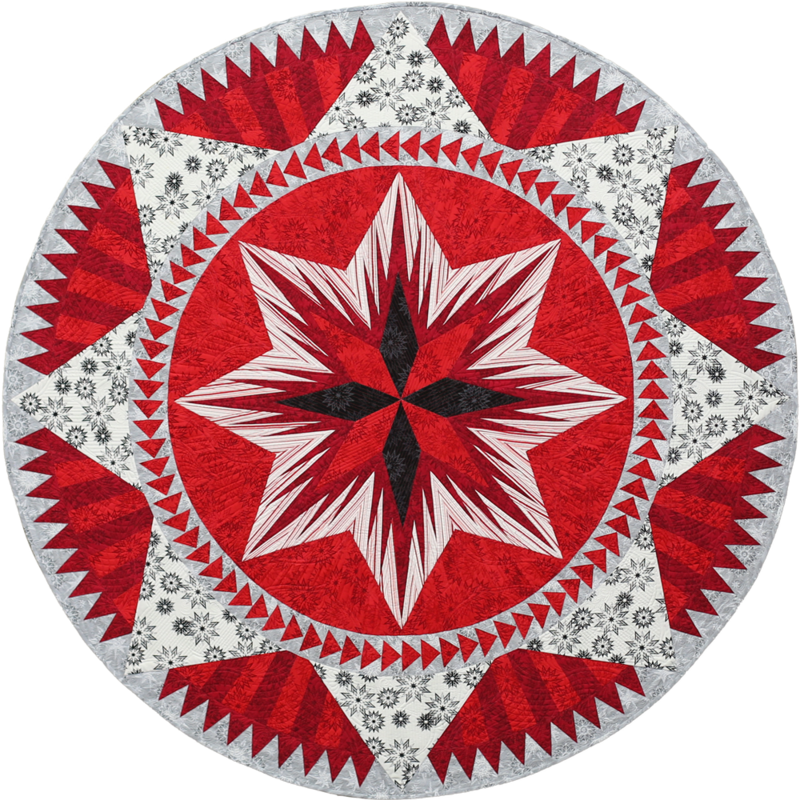 Click the quilt images below to make them larger. 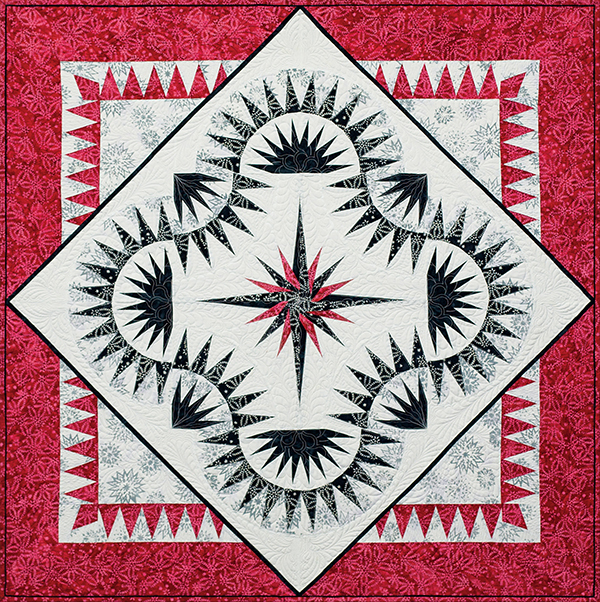 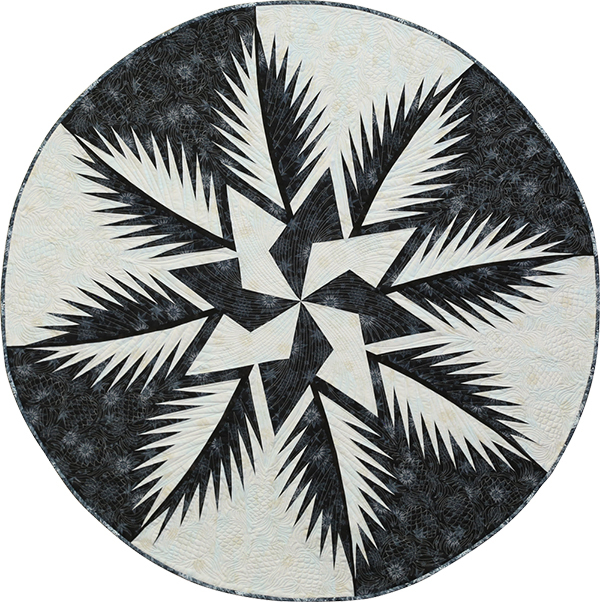 Click on the pattern name for more information on the pattern, and lastly click on the instructor to see their teaching schedule. 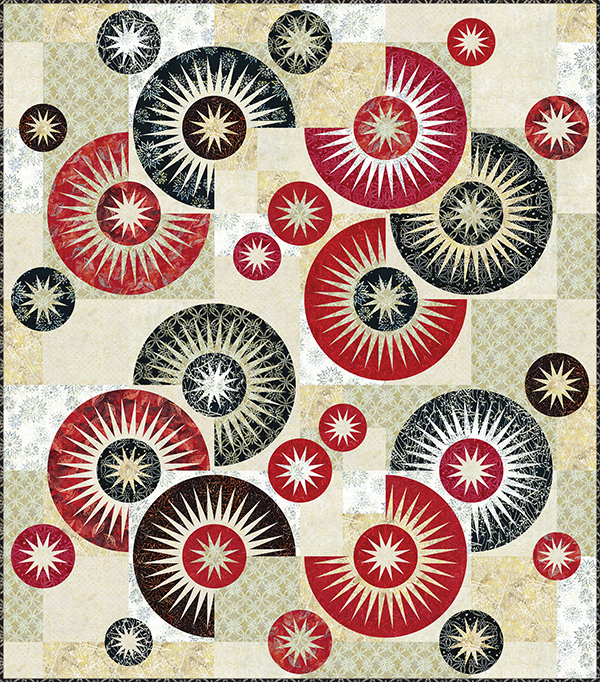 “The Raindrops pattern had been on my bucket list for a few years. 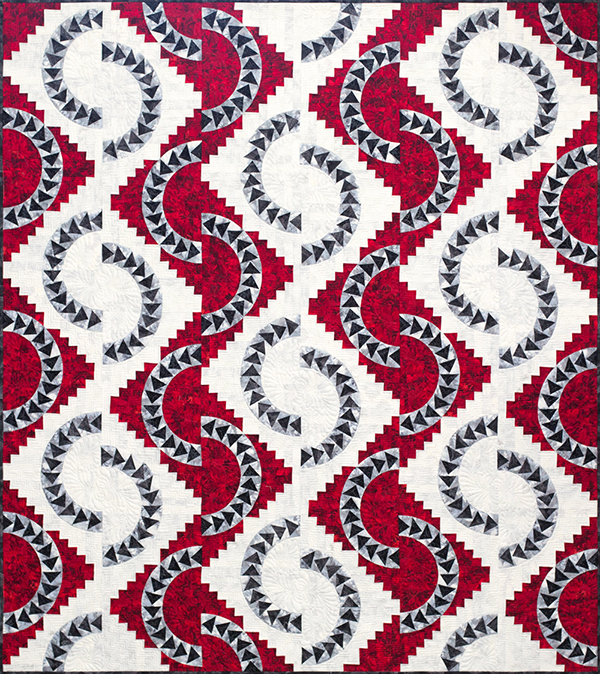 I was attracted to the 3-D effect of the layout, and I fell in love with the Rosé collection the first time I saw the fabrics. 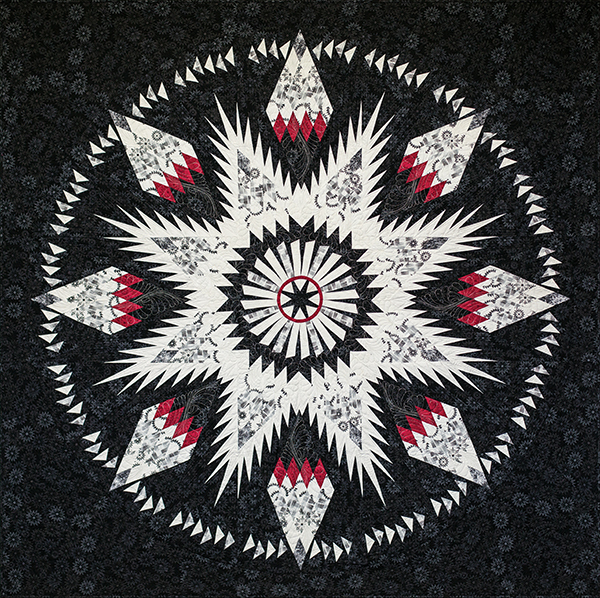 Even though I was moving across country at the same, I couldn’t pass up the opportunity to work on a quilt that combined two things that made my heart go pitter pat.